A business loan might appears as a great funding source—as far as you factor in the charges, costs, and consequences you didn’t even know to look out for. Compound interest is a bit complex—recalculates your repayment based on monthly payments. In other words, it’s the addition of interest to the principal sum of loan or deposit. The concept remains the same, whichever formula you adapt to calculate the interest rate. Moreover, an interest rate is the basic percentage of the amount you’ve borrowed from a lender. APR is an all-inclusive calculation and you probably have a pretty firm grasp on it. It associates your interest rate with all kind of fees and costs of a small business loan, many of them we are about to go over. APRs take interest rates into an account—helpful to separate a loan’s cost into recurring expenses, and one-time upfront fees. Use both numbers to conclude a result for your business financing. Factor rate (also known as buy rate) is similar to an interest rate—but mostly used for short term loans and cash advances. It considered easy to deal and in the form of decimal: 1.3 or 1.5, for example. 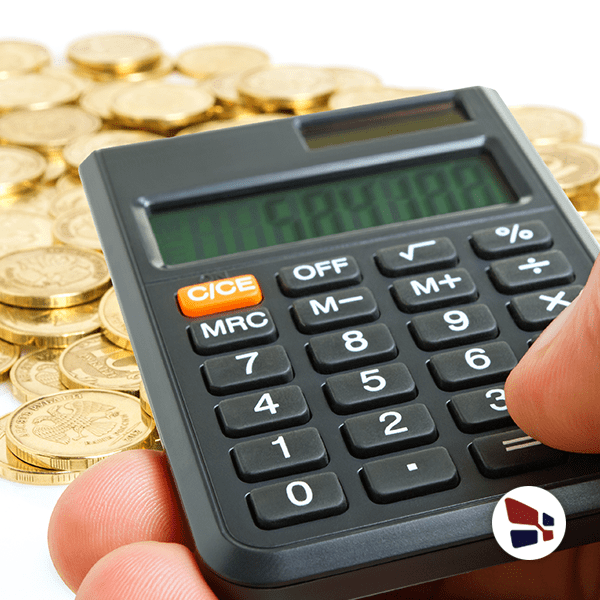 What you’re paying, can be calculated by multiplying the loan amount and factor rate. And, factor rates usually tend to cost-effective loans. Origination fees are usually specified as a percentage of principal you’re lending—charged by the lenders to meet their basic upfront administrative costs. However, the procedure requires time and money in order to obtain the funds. With an origination fee, lenders usually try to recover the costs: email, interviews, data entry, and phone calls—that varies lender by lender. Lenders charge an application fee while processing your application to cover some costs. The fee is charged in order to track your personal and business credit history. Guarantee fee is only required for SBA loans. The Small Business Administration doesn’t offer funds but guarantees them for other lenders. Therefore, your lender pays a specific portion of a guaranteed amount to the government. In order to make late payments, some lenders charge you additional fee. You need to stay organized while obtaining funds for small business. If a lender takes back loan amount directly from your bank account, make sure you have enough money—and if not, then set reminders to pay back the money to avoid the fee. If you pay a lender through checks, instead of debit or credit account transactions, don’t be worried when you encounter a check processing fee. Usually, lenders don’t choose this payment method as it requires more time and workforce. You’ll be additionally charged, if you pay too late or too early, depending on your lender. All funding types don’t come along penalties, and not all the prepayment penalties are the same. If you repay the principal before loan, lenders might face loss. Therefore, lenders charge prepayment penalties, in order to avoid the loss. You need to consider all prepayment penalties before getting funds for a small business. As business loans come with more rates and fees—you need to know the penalties, if you’re looking for financing. Good luck! Head over to our website to get guidance for Small Business Loans rates and fees. For daily updates and financial solutions, follow us on Facebook (@Onlinecheck) and Twitter (@Onlinecheck). In case of any query feel free to call on toll-free number (833) 827-4412 and our financial experts will assist you. Business is growing and you need cash to keep it competitive. Here is everything you need to know about small business loan rates and fees.